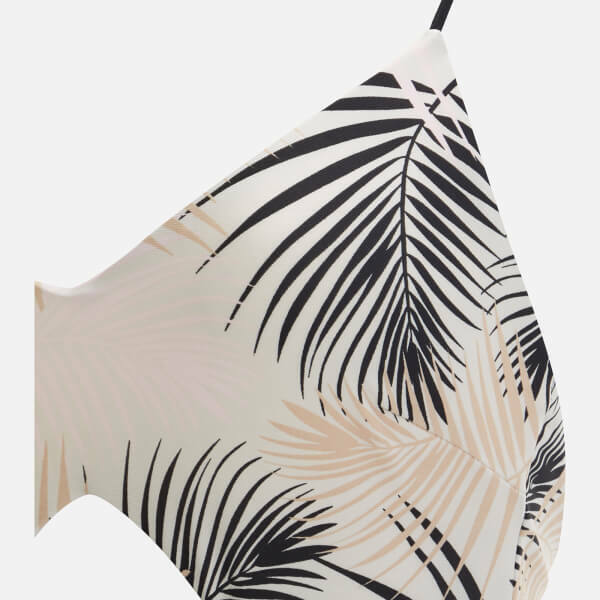 Women's cut-out swimsuit from MINKPINK. Crafted from stretch fabric, the 'Isla' swimming costume features a palm-printed top section with cut-out detail to the waist, and colour block bottoms cut with cheeky rear coverage. Complete with thin, adjustable straps that create a V-shape across the back.